Rider's you can register the day of the ride ! 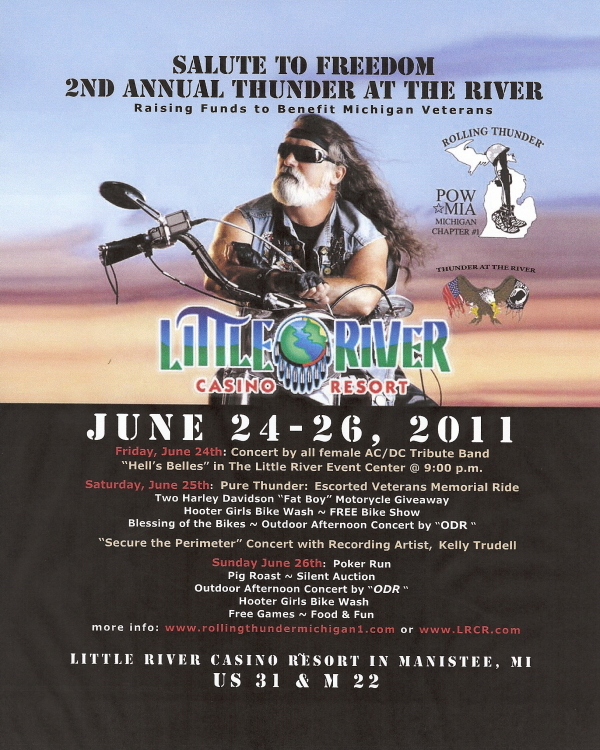 Cost $25.00 per person donation (Free Tee Shirt Included) Pre Registered Riders will qualify for $10.00 River credits from Little River Casino & Hotel on their player club card and will also be put into a free prize drawing from Rolling Thunder Michigan Chapter #1 after ride. Manistee, MI. 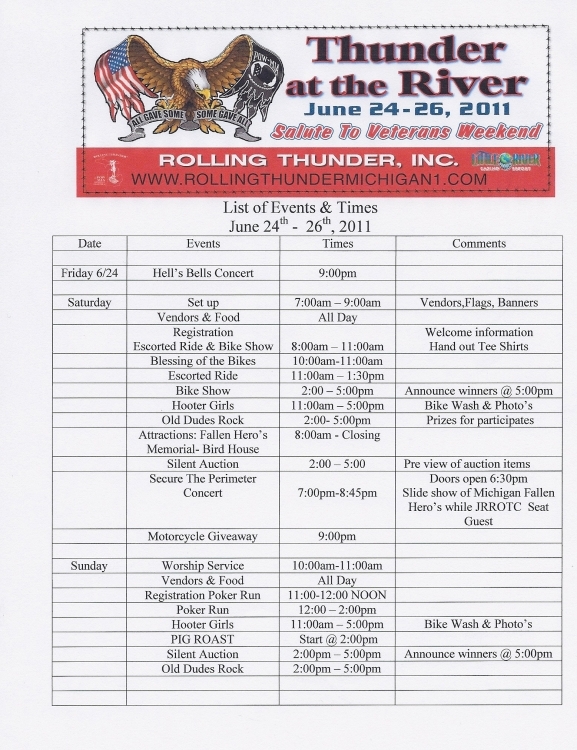 49660 Make Checks Payable to: Rolling Thunder Michigan Chapter #1 OPEN TO ALL VECHICLES!